The Moving Average (MA) is one of the most commonly used indicators in the forex trading business. This indicator is usually used by itself but it can also be used as part of another metric to give more insights on the market. The MA is quite a significant tool in the trade which cannot be overlooked by any serious trader. There are so many benefits that the tool brings to the trade and it is practically insurmountable in some instances. Some technical indicators use the MA to confirm certain trends. 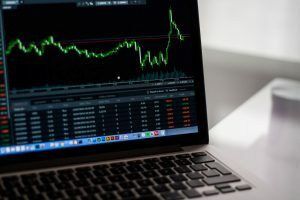 You can learn more about technical indicators when focusing on technical analysis and why it is so important in trading. Here is a quick guide that focuses on how the MA improves your trading. These two work the same way although they are each adjusted to show signals of different periods. The SMA shows a general trend of a particular period which has been calculated by getting the average of that period. The EMA, however, adds more emphasis on the most recent trends. This allows it to have some more emphasis which is reflected in the quick short reactions. The MA can be applied in a specified set of time frames. The standard units range from five average lengths of between 10 and 200, even though more positions can be specified. These average lengths can be in any time frame from minutes to days. In whatever time frame it is applied, the MA can be very effective for both short and long term use. Determine the best time to enter the trade. The indicator is very efficient at providing support and resistance. This means that it can also have a bearing on how quickly a trader identifies valuable areas of trade along the line. By either pulling away or drawing close to the trends in the market, the MA provides traders with the best signals for entering or exiting the market. Set the stop loss points at the appropriate time. The stop loss is used by so many traders. Whether you are an astute trader or not, you will find the stop loss to be quite effective in guarding your from unintended losses. Since the MA is good at support and resistance, it also gives traders the chance to determine the stop loss positions alongside showing when the market is ripe for business. Trade with the trend. Trading with the trend is usually difficult for most traders. A lot of skill and knowledge is required to effectively trade with market trends. The MA simplifies the process when you are looking to trend with trends. The MA is efficient in highlighting both long-term and short-term trends. This makes it especially useful when you are trying to establish whether a certain trend will hold long enough to bear gains. Determine the best markets. In addition to identifying price trends, the MA is used to determine the relative strength of a market. Many forex markets have opportunities for both long-term and short-term investors. It is, however, important to measure the strength of a market in order to know which market is best for your strategy. If your goal is long-term investment, you can use the MA to weigh the strength between different currency pairs. This is also possible for short-term investment. 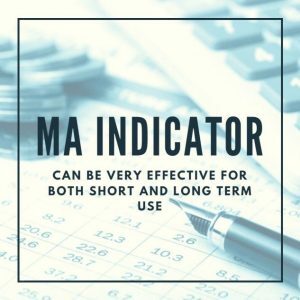 The MA is the most effective indicator that works for both scenarios. The Moving Average is without a doubt among the best indicators which any trader should use. By mastering the working mechanism of this indicator, you can be able to maximize your profits and effectively benefit from your trading strategy. « What Is the Importance of Generating A Pay Stub?